What is stage 4 prostate cancer, what treatments are available, and what is the prognosis? Stage 4 prostate cancer is the most advanced stage of the disease. It means that cancer has spread beyond the prostate to distant areas of the body. The most common staging system used with prostate cancer is the TNM staging system. Another system used by some hospitals and doctors is the Jewett staging system which breaks down tumors into stage A to stage D.
T is for tumor size. N is for lymph node involvement. N0 means cancer has not spread to any lymph nodes. N1 means the tumor has spread to nearby lymph nodes. N2 means the tumor has spread to distant lymph nodes. M is for metastases. M0 means that a prostate cancer has not spread to distant organs. M1 means that a prostate cancer has spread to distant organs — the bones are the most common area of prostate cancer metastases. A T4 tumor with no lymph node involvement and no metastases. Any size tumor along with nearby lymph nodes positive (N1) and no metastases. Any size tumor alone with any lymph node status (none, nearby nodes positive, or distant nodes positive) plus metastases to another region of the body (M0). Tests to diagnose prostate cancer may include a CT scan, ultrasound, MRI, or PET scan to evaluate the growth and look for metastases. A biopsy is usually done to look at the aggressiveness of the tumor. While stage 4 prostate cancer isn’t usually curable, it is treatable. A combination of several treatments is usually used over time for this stage of the disease. Hormone therapy - Hormone therapy is often the mainstay for stage 4 disease. Different options are available to reduce the amount of testosterone in your body. Some medications stop the production of testosterone, and others work to prevent testosterone from stimulating prostate cancer cells. Just as estrogen works as a fuel to stimulate the growth of many breast cancer cells, testosterone works as a fuel to facilitate the growth of prostate cancer cells. Palliative surgery - A TURP procedure is sometimes done at this stage. Since stage 4 prostate cancer has by definition spread to other parts of the body, surgery to remove the prostate is not effective in “curing” cancer as it may be in earlier stages of prostate cancer. These surgeries are sometimes done for symptoms related to the prostate. Sometimes an orchiectomy (removal of the testicles) is also done as a form of hormonal therapy. Palliative radiation - Radiation may be used along with hormonal therapy initially to control pain, and after hormonal therapy has stopped working. Radiation may also be used for bone metastases to decrease pain. Treatment of bone metastases - Treatment of bone metastases can include a combination of radiation therapy and a medication category called bisphosphonates. Chemotherapy - Chemotherapy may work to extend life for men with prostate cancer and also relieve pain due to metastases. Stage 4 with Regional metastases – Prostate cancer that is called stage 4 due to a large tumor size (T4) or due to spread to nearby lymph nodes has a 5-year survival rate of nearly 100%. Stage 4 with distant metastases – According to the National Cancer Institute’s SEER date, men who have stage 4 prostate cancer with spread to distant lymph nodes (N2) or to other regions of the body such as bones, had a 5-year survival rate of 28%. Even with this keep in mind that the treatments for advanced cancers are improving each year. Every person is different, and clinical trials today may change those numbers tomorrow. Learn about your cancer. 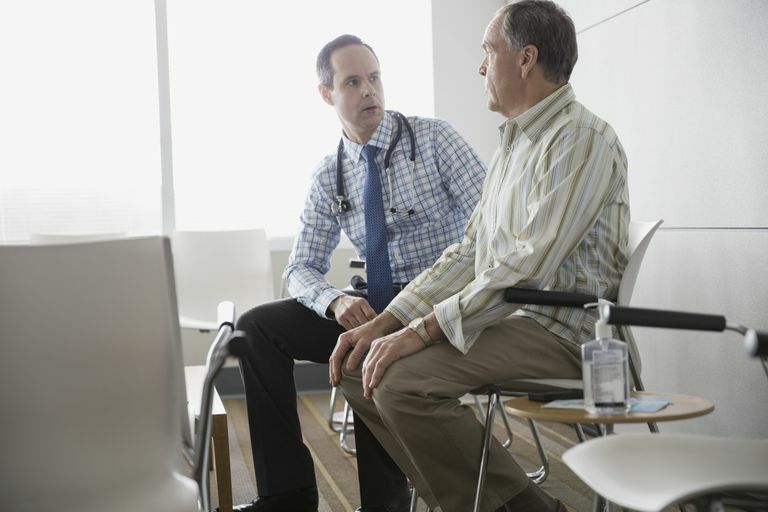 Be aware of some common prostate cancer emergencies so you can be prepared. Accept help. Stage 4 prostate cancer can sometimes cause significant pain. Talk to your doctor and don't try to be "a hero" and avoid treating your symptoms. Consider joining a support group or check into online stage 4 prostate cancer communities. If it is your loved one coping with prostate cancer, learn important tips on supporting a loved one with prostate cancer. American Cancer Society. Survival rates for prostate cancer. http://www.cancer.org/cancer/prostatecancer/detailedguide/prostate-cancer-survival-rates. Kumar V, Abbas A, Fausto N. Robbins Pathologic Basis of Disease 7th Edition. 2004. National Cancer Institute. Prostate Cancer Treatment – for health professionals (PDQ). http://www.cancer.gov/types/prostate/hp/prostate-treatment-pdq.